Zeek was born into a puppy mill situation. His momma had given birth to many litters. He and his brother were very underweight. 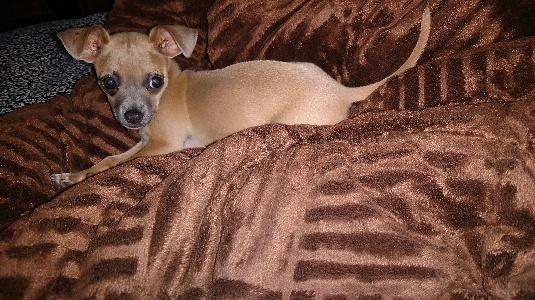 For a Chihuahua being even slightly underweight is a big deal. 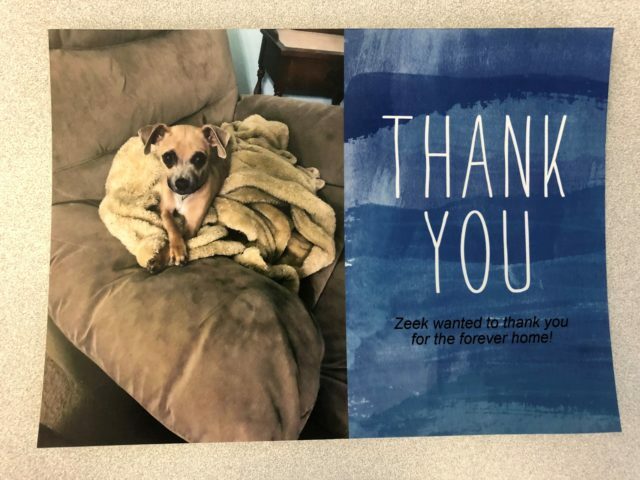 Thankfully, House of Hope Rescue was able to get Zeek to a healthy weight with high-quality pet food donated through GreaterGood.org’s Rescue Bank. 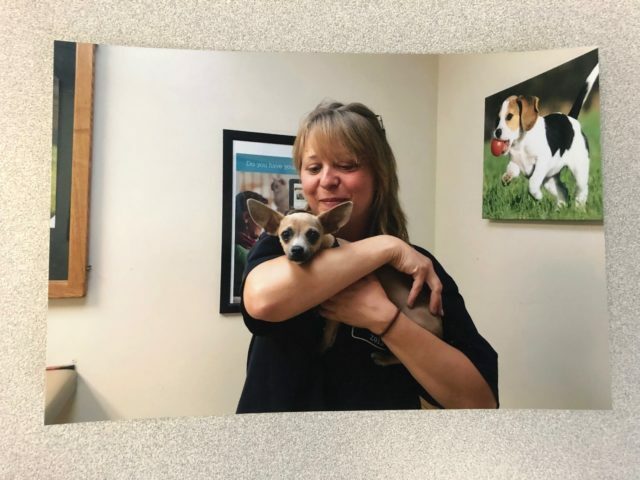 Zeek found a forever home with one of the ladies that works at the rescue’s vet office. He is currently her only dog as her special needs dog passed away prior to Zeek. He pretty much gets to run the house and do whatever he wants. He loves to snuggle. His parents work different shifts, so he is never alone. He is one spoiled little boy, and he truly deserves it! We never cease to be amazed at how generous our iHeartDogs community is! When you shop from the iHeartDogs store, you join thousands of other people who have provided millions of meals for pets in need like Zeek through GreaterGood.org’s Rescue Bank program! 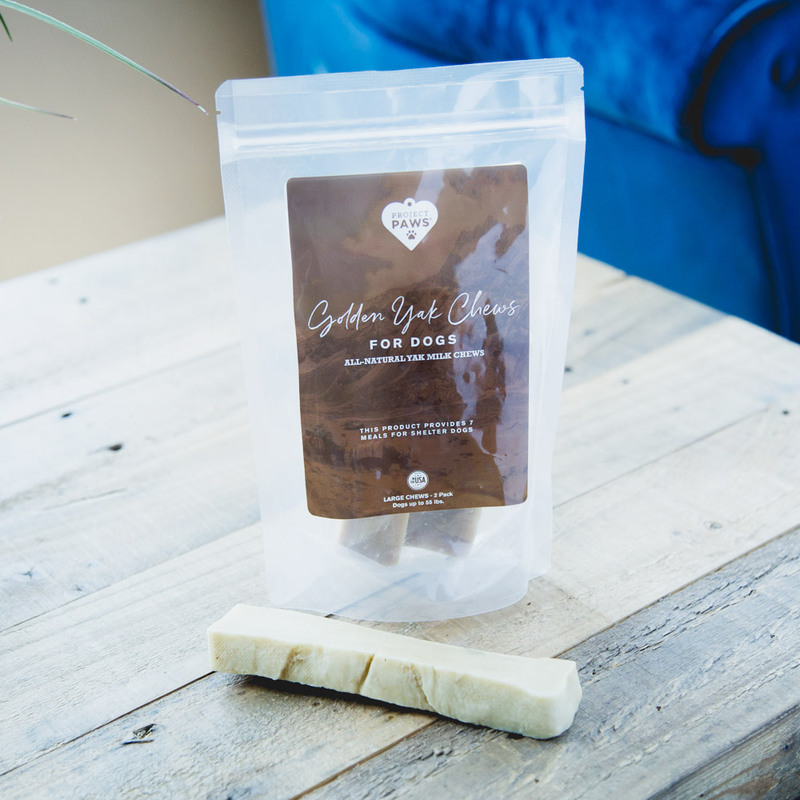 Golden Yak™ Chews – treat your dog and feed 6 shelter dogs per pack!